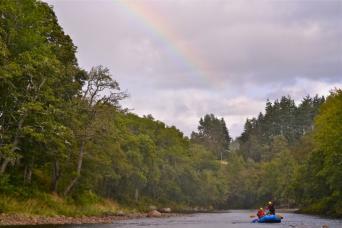 The middle section of the River Findhorn has long been a draw for kayakers and canoeists due to fabulous scenery, abundant wildlife and a mixture of calm relaxed stretches between first class grade 3 white water rapids. 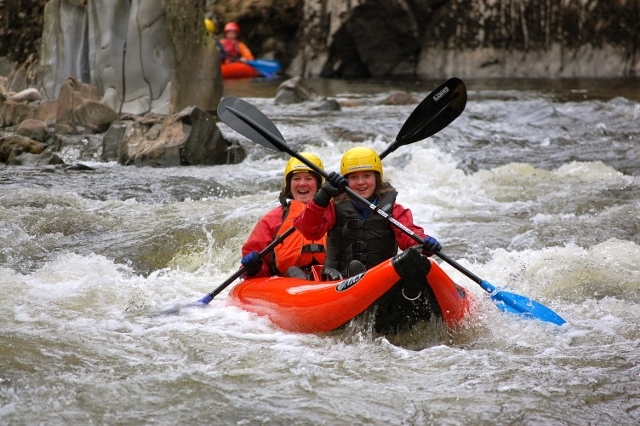 ACE offer canoeing and kayaking trips suitable for the first time enthusiast by using one and two person stable inflatable canoes and kayaks under instruction by our friendly qualified river guides. No previous river experience is required and non-swimmers are more than welcome. People a little less adventurous can join this trip in a raft. 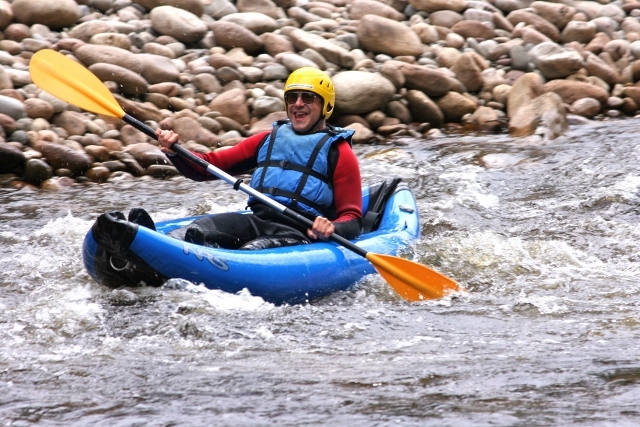 The middle section of the River Findhorn starting from Ardclach Church or Logie Bridge going to Daltullich Bridge or occasionally as far as Randolph's Leap is an exceptional canoeing and kayaking stretch of river for those that are new to the sport or for those that would like to hone their skills. There is a bit of everything on this section of the River Findhorn from mini gorges to open rural stretches. There are also put in and egress points at Logie Bridge and Daltullich Bridge providing a nice range of distance options. The rapids are exciting and safe with plenty of calm pools between to recompose should a capsize occur. 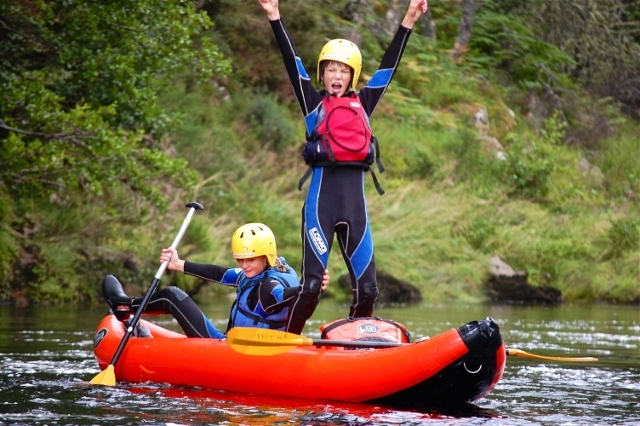 The River Findhorn makes for an excellent introduction to canoeing and kayaking. Our fleet of inflatable boats are safe and forgiving which allows us to give you a taste of excitement by running some rapids which would otherwise take considerable time to learn in the conventional hard shell kayaks and canoes. A typical day is usually; After arrival at the ACE base where we have heated change rooms, toilet facilities and comfortable reception you will be welcomed by one of the team. Once signed in we provide an update of what is in store for the day before issuing your equipment. Valuables can be locked in your vehicles or left with us in a secure box we keep the car keys. Once on the water some time is spent making sure you are familiar with your boats and practice turning them and control before heading off to tackle the first rapid. It is not uncommon to see some capsizing. After the short sharp introduction there are long sections of calmer water and mild rapids to improve on technique. Having practiced negotiating Magnetic Rock and The Elephants Bum passing by the picturesque Colmony House the Dragons tooth awaits. The tooth guards a swift channel of water with some exciting waves to negotiate. Passing through some gneiss gorge walls and another calm stretch before the final crux rapid at Daltullich Bridge we call Carnage Corner. It sounds more ominous than it is but is certainly going to keep you on your toes with either a corkscrewing channel of water in low flows or big fluffy wave in high flows. Once at the bridge a short walk up to the roadside where the bus takes you back to the ACE base where you can reunite your dry clothes and see the photos of the day on the widescreen tv in the reception where snacks and refreshments are available. The river is quite wide and shallow in places with numerous different size rocks and boulders making it difficult if not incapable of navigation in low water conditions. We always run this section for canoeing, kayaking and half day rafting bookings when the conditions are right. It is not suited to very low water conditions when we recommend River Tube & Cliff Jumping, Canyoning or the Full Day Rafting trip instead. ACE will always be as flexible as we can to ensure guests get the best experience available on the day and are happy to upgrade or switch to a more suitable activity. The best time of year for this activity is after recent rainfall on in early to mid spring. The River Findhorn translates as the White River which is one of the many misnomers to be found in relation to this magical artery of life. The waters are as black as tar from tannin in the heather moors. As the river slips its way downstream turning white at the frequent rapids, it twists and turns through stunning countryside scenery. Known as the River of beauty cutting through great forests and outcrops of sculptured Gneiss and Granite this is one of the most picturesque rivers in Scotland. 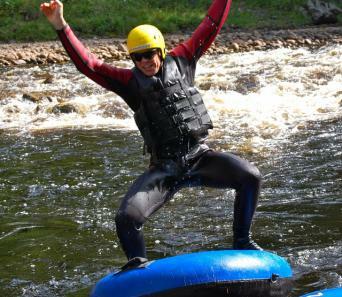 ACE run more trips on the River Findhorn than everyone else put together. We live by it and know it intimately. We are the only outfit that runs the river all year round at any level on all sections. We aim to ensure your experience is a personalised adventure and not a commercial cattle market. 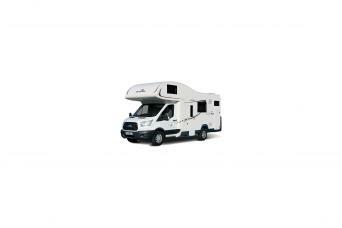 We are committed to provide the best possible service and experience in an exciting friendly safe environment.